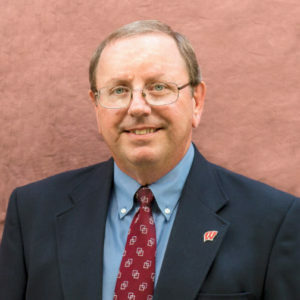 Kurt has over 37 years of experience at Vierbicher serving as a Community Development Consultant to Wisconsin municipalities. Kurt has extensive experience with planning and implementation of community development programs with particular emphasis on economic development, capital improvement planning, grant writing and tax incremental financing. He is a Principal of Vierbicher and serves as the Chairman of the Board, Manager of Vierbicher’s Reedsburg and Prairie du Chien Offices and is also the Director of Business Development. My first job after college was a surveyor for the U.S. Forest Service in the Kootenai National Forest in northwestern Montana. We lived in spike camps for three months. I could not believe they actually paid us to do that work.